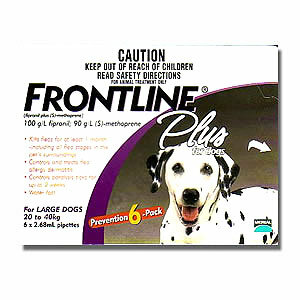 FRONTLINE Plus is ideal for use on puppies and kittens 8 weeks of age or older. Not only does FRONTINE Plus kill up to 100% of adult fleas on your pet within 24 hours, it also contains a special ingredient that kills flea eggs and larvae to keep ALL stages of fleas from developing and bothering your pet and your family. 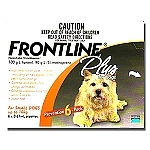 FRONTLINE Plus completely breaks the flea life cycle by effectively stopping the development of new fleas. 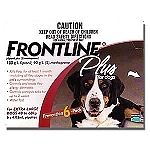 And, FRONTLINE Plus kills all stages of 4 major ticks, including the one that may carry Lyme disease.